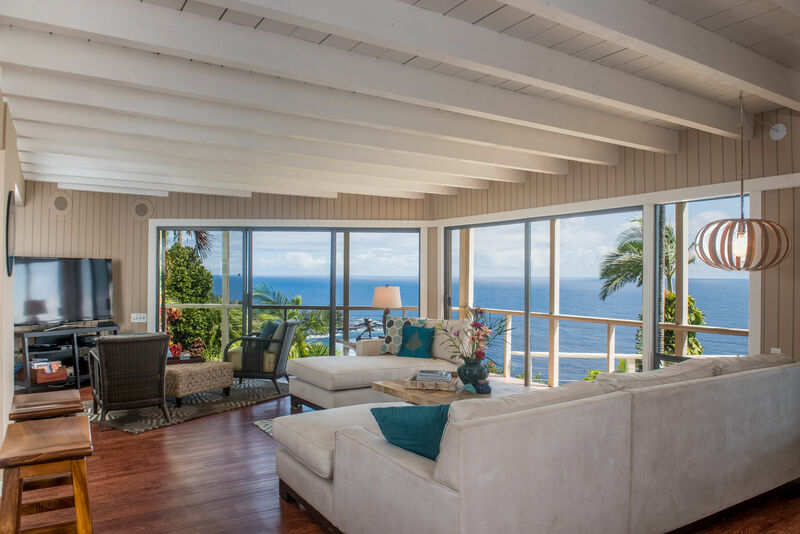 Paradise Bluff is a beautiful home perched on the cliffs of the small seaside town of Laupahoehoe. 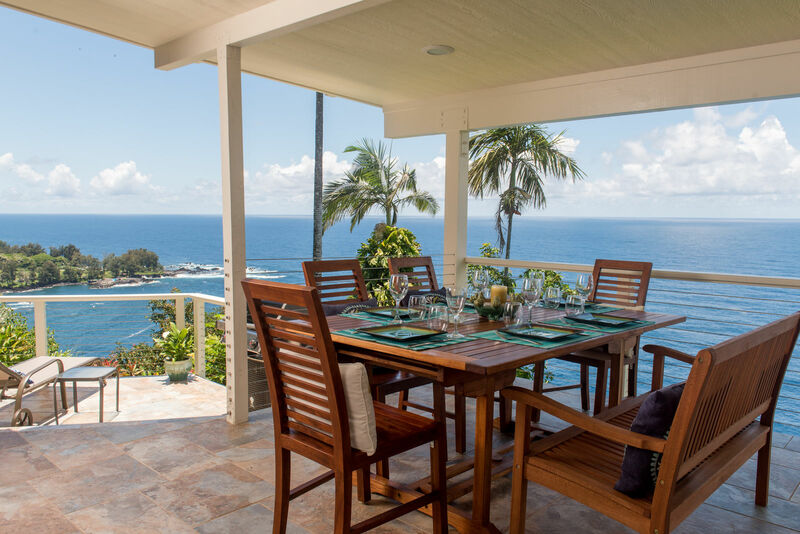 Relax, take a deep breath, and enjoy the Aloha spirit and traditions of the Big Island of Hawaii. 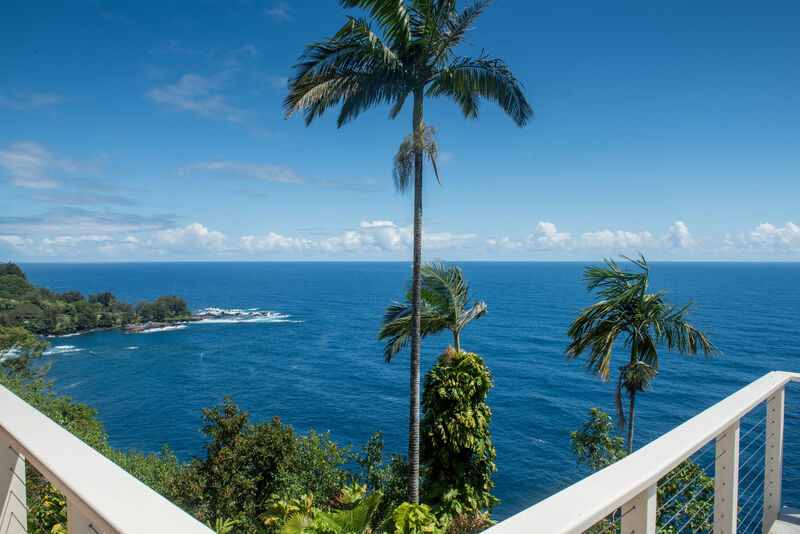 Located on the spectacular Hamakua Coast between Hilo and Waimea, Paradise Bluff spans 288 ft. of coastline and overlooks historical Laupahoehoe Point. 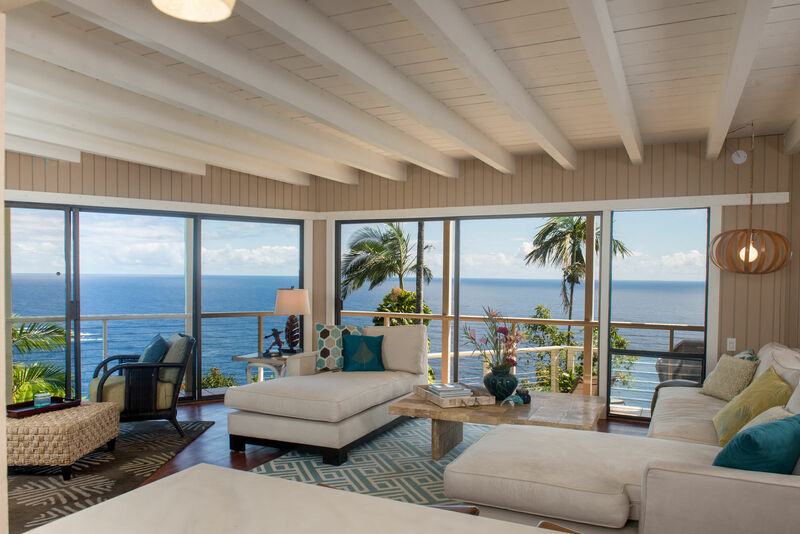 The sweeping 180-degree views of the Pacific Ocean, tropical gardens, and private decks all combine to make a uniquely-breathtaking retreat. 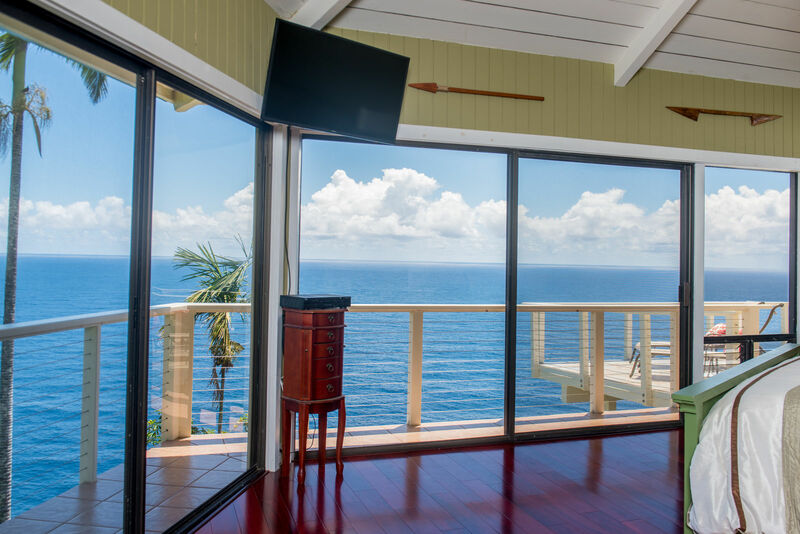 You may use this awesome home as a convenient jumping-off point to many of the famous Big Island sites, or you may simply choose to escape from it all, relax on the lanais, and enjoy the exotic birds, crashing blue surf, swaying palm trees, and rainbow-colored geckos. 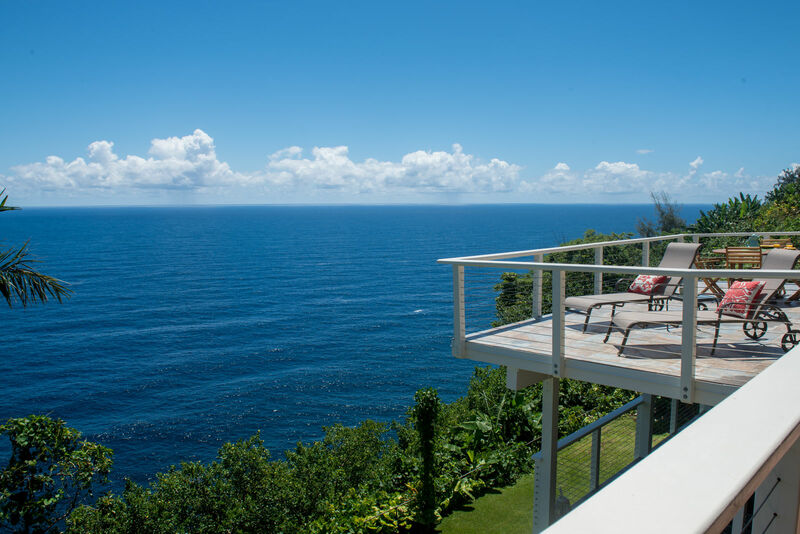 Paradise Bluff is a destination in itself. 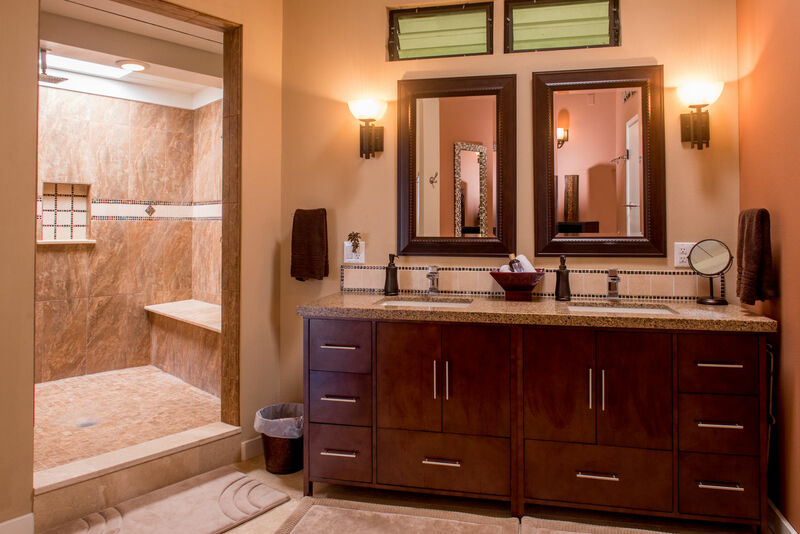 Paradise Bluff features a luxurious top floor Master suite, complete with a king sized bed, wall-mounted flat screen TV, large walk-in shower (with two shower heads), elegant ”spa-like” bathroom, coffee station and fridge, private deck, and an oversized dressing room. 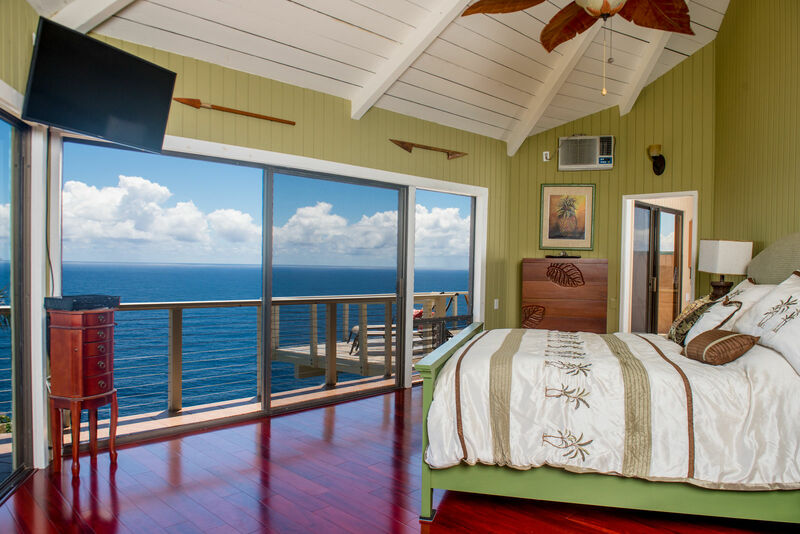 The bedroom's vaulted ceilings and ceiling fan help circulate the ocean breezes. 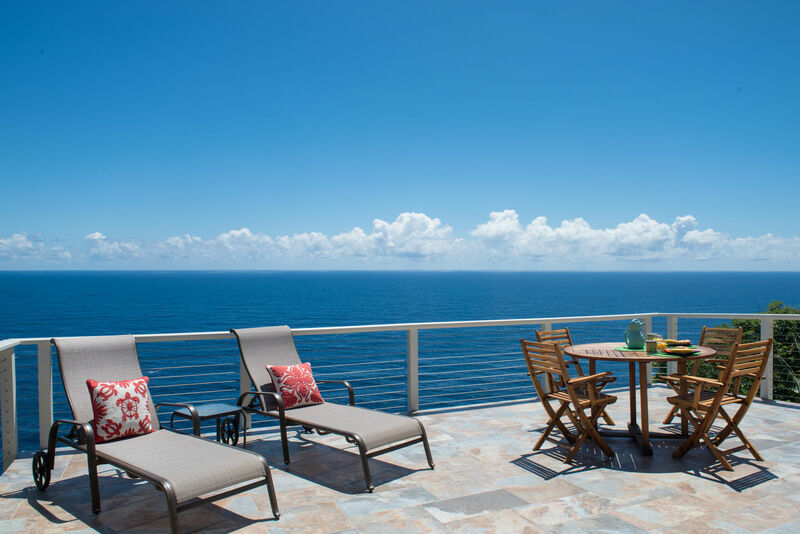 The huge sun deck allows for private sunbathing with spectacular views of Laupahoehoe Point in the distance. A unique spiral staircase connects the top floor with the main floor. 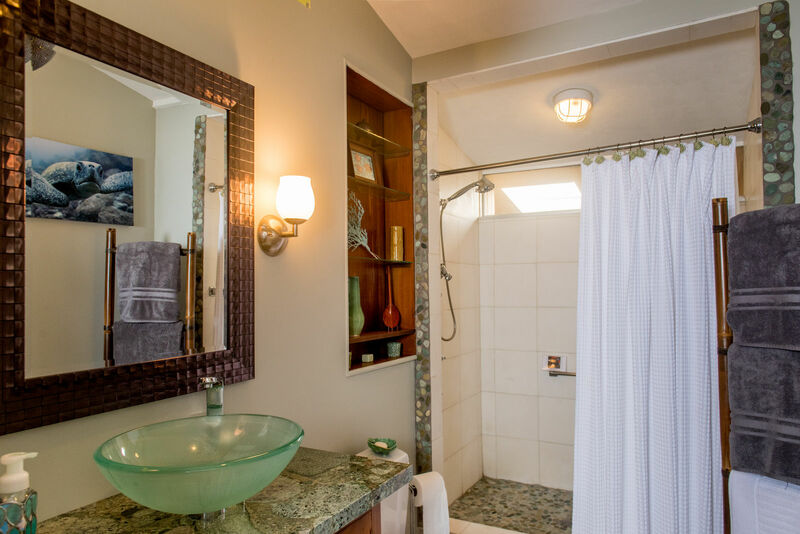 The spacious main floor has a large living room, kitchen, dining room, utility/laundry room, and two more bedrooms with king sized beds, flat screen TV’s and beautiful en-suite bathrooms with showers. 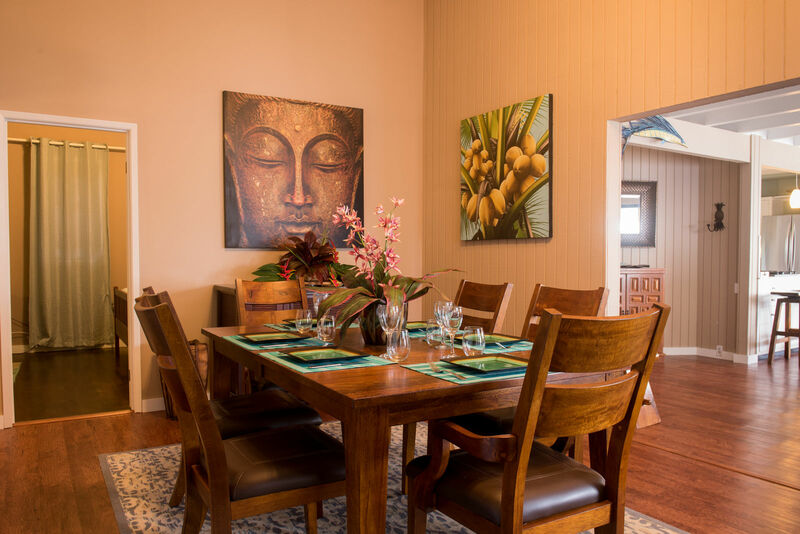 The large dining room has a vaulted ceiling and a solid mango table with six chairs. Two more decks (one covered and one sun deck) are located off the living room. 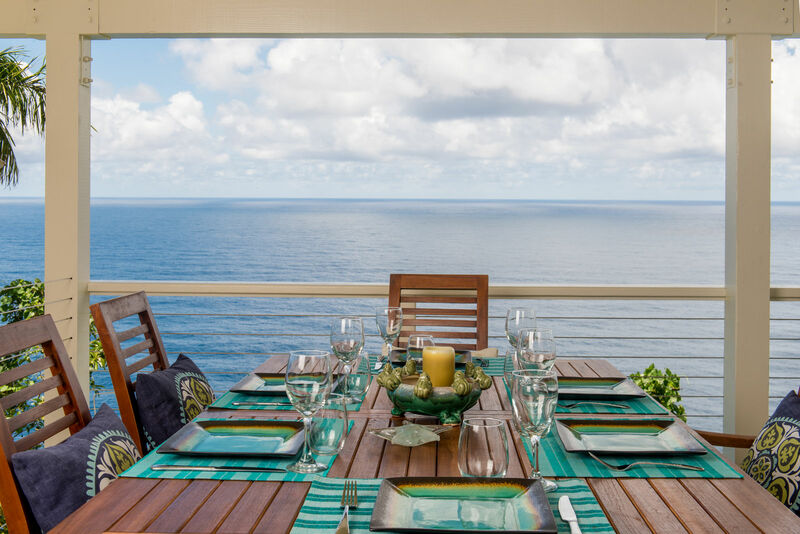 The covered wrap-around deck has an elegant teak dining table for six. 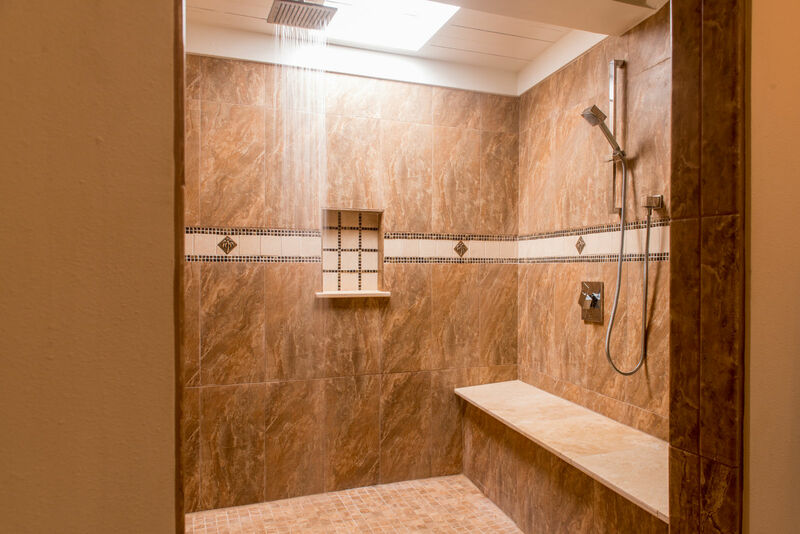 Step down to the smaller lower deck to find the Weber gas grill and a chaise lounge for sun-bathing. 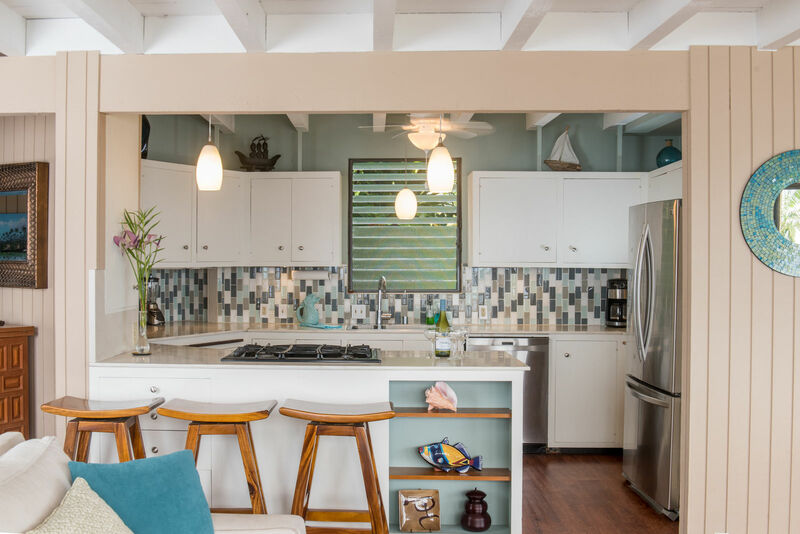 All the decks are newly tiled and overlook the water; it really feels like you’re living in the Presidential Suite on the forward bow of a cruise ship – without the crowds and buffets! Laupahoehoe is a small town with its roots in the sugar-industry. Today, it has a beautiful beach park, post-office, police station, one restaurant, Train Museum, and a fantastic open-air eight-lane public swimming pool (with lifeguard) that is free to the public. Just a few minutes away is the recently-renovated 100 year-old Papaaloa Country Store and Cafe with its a fabulous bakery, sandwiches, and burgers, along with a wide selection of groceries and fresh produce. 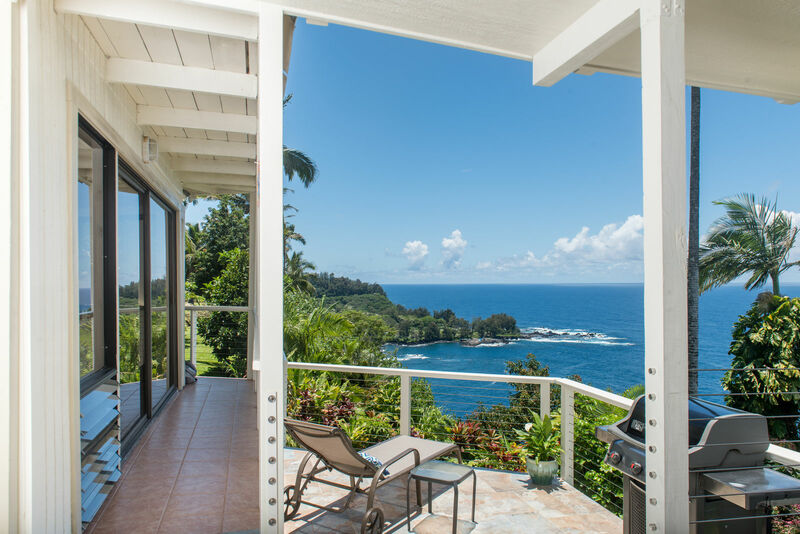 About 20 minutes’ drive north is Honokaa Town, the gateway to famed Waipio Valley. Honokaa has several good shops and restaurants and a wonderful FirstFriday art and shop walk the first Friday of every month. 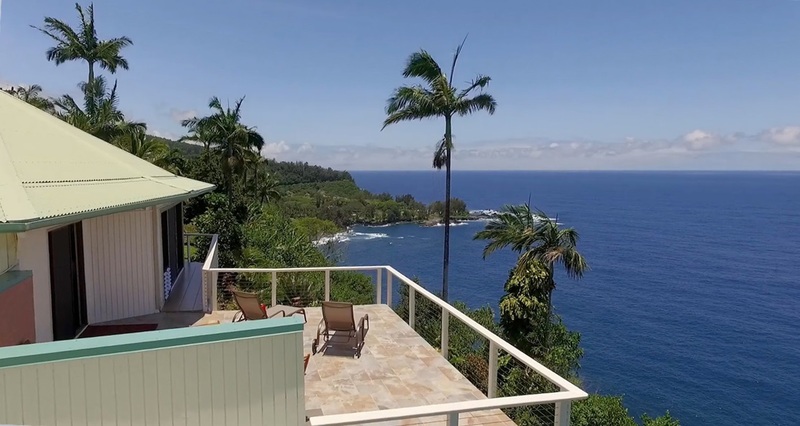 Hilo, 35 minutes to the south and Waimea, 45 minutes to the northwest, both provide a variety of restaurants, shops, nightlife and unique local attractions like zip-lining, botanical gardens, and farmer's markets. One hour west of Paradise Bluff is the famous Hapuna Beach and several world-class beach resorts with great golf courses. *Published rates are for double occupancy. 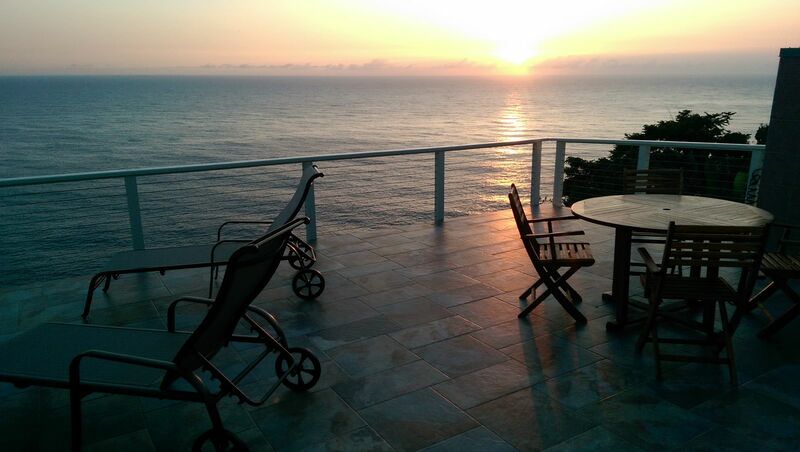 Extra guests up to a total of six are charged $25 per night. All guests must be registered, Mahalo! 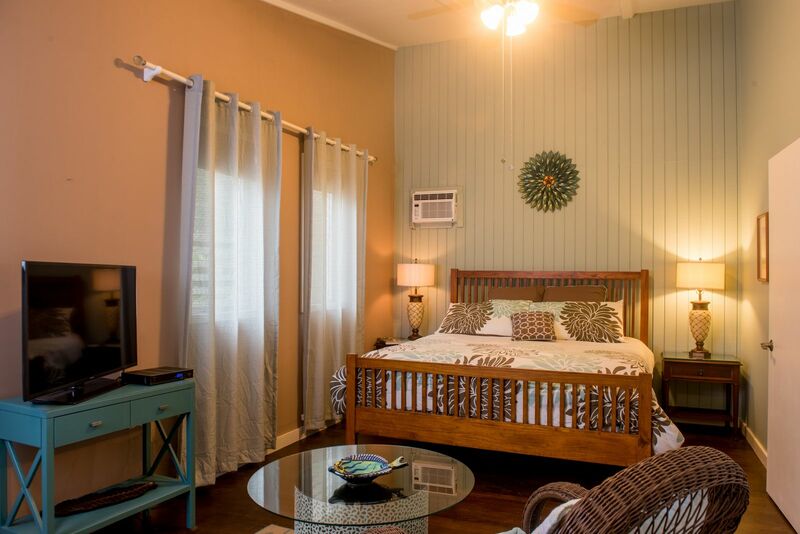 A/C Notes: Individual AC unit in the master bedroom, living room and one downstairs bedroom. 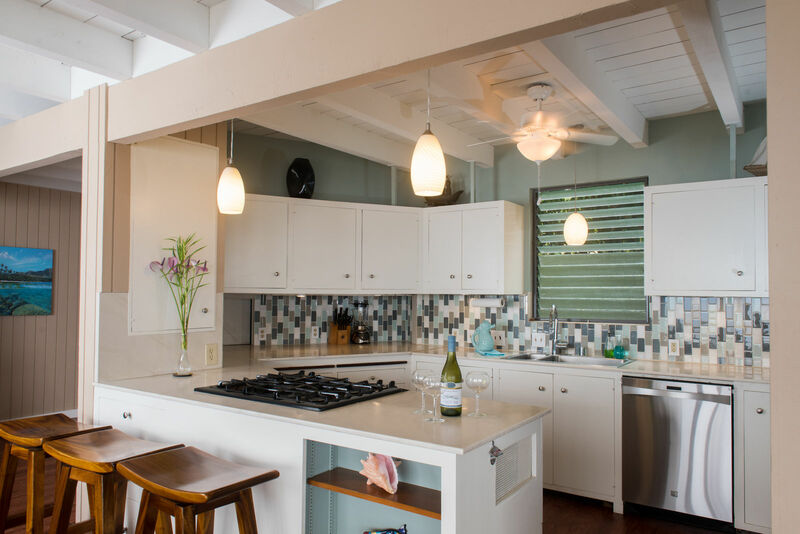 All three bedrooms have ceiling fans and house stays comfortable with ocean breeze almost constantly. One bedroom does not have AC.